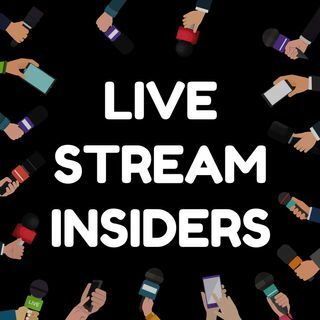 Live Stream Insiders is a twice-monthly live video show covering the latest live stream news, tools, technology and case studies to help marketing executives, communications, media and PR professionals integrate live video and live audio into their strategy. If you are curious about the latest best practices in ... Más informaciones live streaming for marketing, social selling, employee engagement or even crisis management, we hope you will subscribe to the show. Whether you are a journalist, marketing manager, communications professional or entrepreneur, you will discover practical and actionable advice to help you integrate live streaming into your communications. If you have questions about using live streaming in your organisation you can schedule a free strategy session at http://www.Krishna.me/meeting.